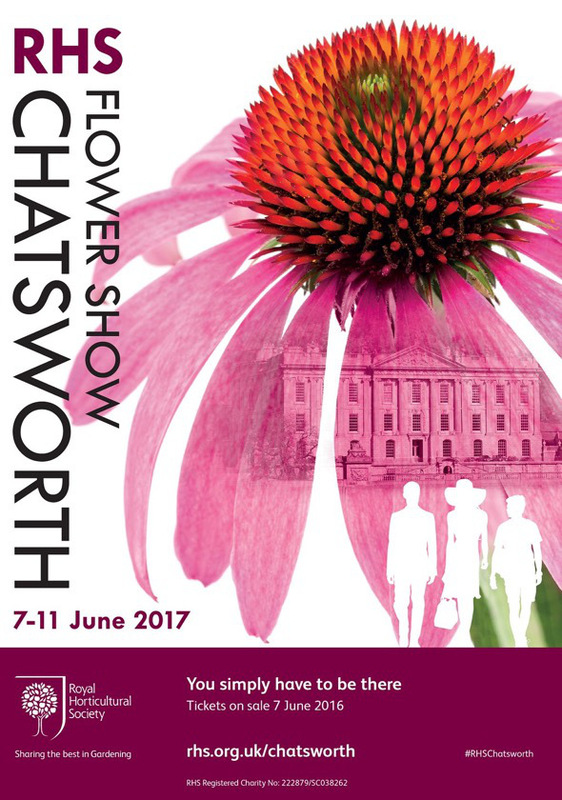 Hot on the heels of Chelsea comes the Royal Horticultural Society’s newest, most exciting show at Chatsworth House in Derbyshire. 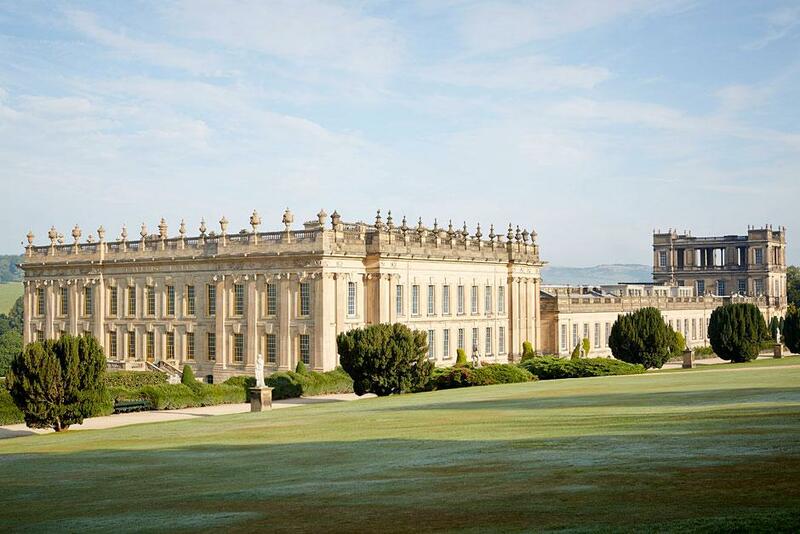 Home to the Duke and Duchess of Devonshire, Chatsworth is one the country’s finest estates and a popular tourist attraction. As the setting for a major new flower show it promises to be world-class, and at the time of writing there are only a handful of tickets remaining for the final day of show, which runs from Wednesday June 7th to Sunday June 11th. One might ask whether the nation needs another flower show on this scale, particularly given the struggle faced by the RHS in securing the usual number of ‘big ticket’ show gardens for Chelsea. The new event at Chatsworth was announced 2 years ago, well before we knew about Brexit, and opens at a time of uncertainty both politically and economically. It even straddles the general election, creating a welcome distraction from the mutterings and proclamations of Mrs May and Mr Corbyn. 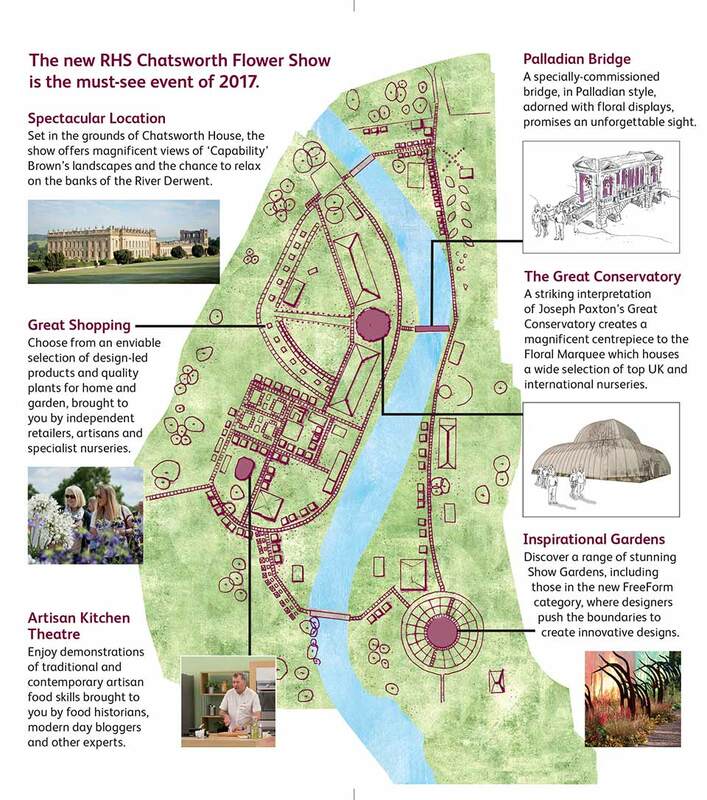 The RHS promises that Chatsworth will ‘break boundaries and blend tradition with unexpected, innovative design’. These sorts of visionary statements generally make me feel a little nervous. It’s as if the organisers are covering themselves for any and every eventuality, including design which might not be very good. Happily, although the gardens don’t appear quite as ambitious as Chelsea, there is plenty of promise. Sponsored by Wedgwood, the theme of the show is ‘Design Revolutionaries’. 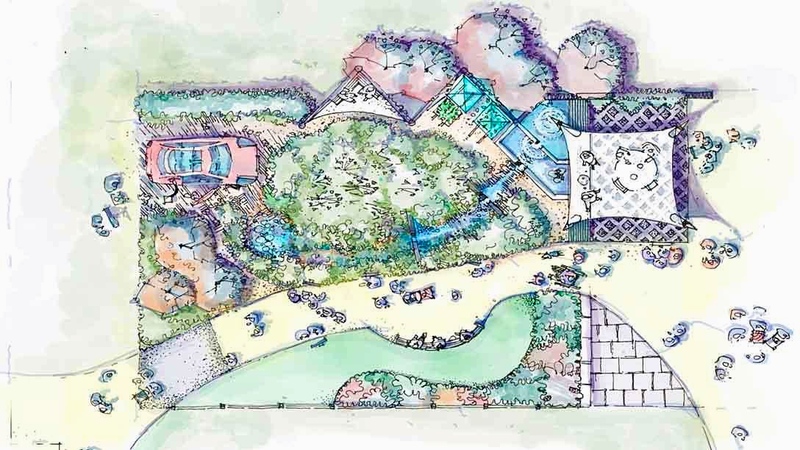 Exhibits will celebrate creative people who, through their foresight and imagination, have changed the way we think about gardens and garden design. The partnership between the famous ceramic brand and the RHS is an apt one, since it was John Wedgwood, who had an extensive interest in botany and horticulture, founded the RHS in 1804. I wonder what John, the eldest son of Josiah Wedgwood, would make of the progress his august society has made over the last 213 years. To celebrate the reunion, Wedgwood have teamed up with young Cornishman Sam Ovens, the designer who worked with Cloudy Bay on their 2016 Chelsea garden, to create a garden entitled A Classic Reimagined. 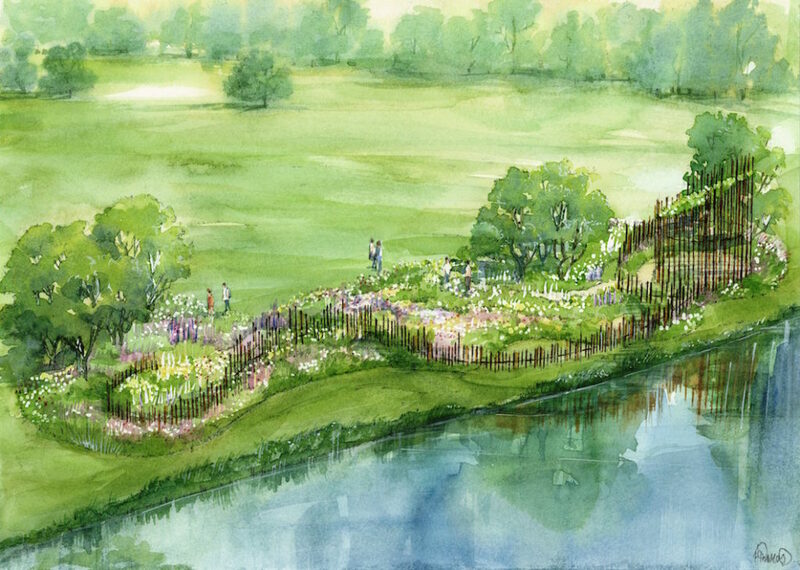 Renderings suggest an angular composition with water at its centre and lots of naturalistic planting. I am certain both designer and sponsor will be hoping for a gold medal. Other gardens of interest include Belmond’s Enchanted Garden, which features a spiral staircase to take guests wherever their imagination desires, and The RHS Garden for a Changing Climate (below), which presents two scenarios for a small suburban garden: ‘now’ and ‘future’ when our climate will become increasingly warm and dry in summer with unpredictable weather events causing flash flooding. Brewin Dolphin have upped sticks from Chelsea, taking designer Jo Thompson with them. They will present a sinuous space complete with a sculpture cantilevered over the banks of the river Derwent. A soft pastel planting palette of blues and pinks with highlights of apricot will contrast with the patina of the steel sculpture. Elsewhere, paving and sculptural seating will reference the ancient millstones found across the Peak District. I think I am going to like this garden. In stark contrast, we have another quarry garden, although this time inspired by UK quarries rather than sun-soaked ones. 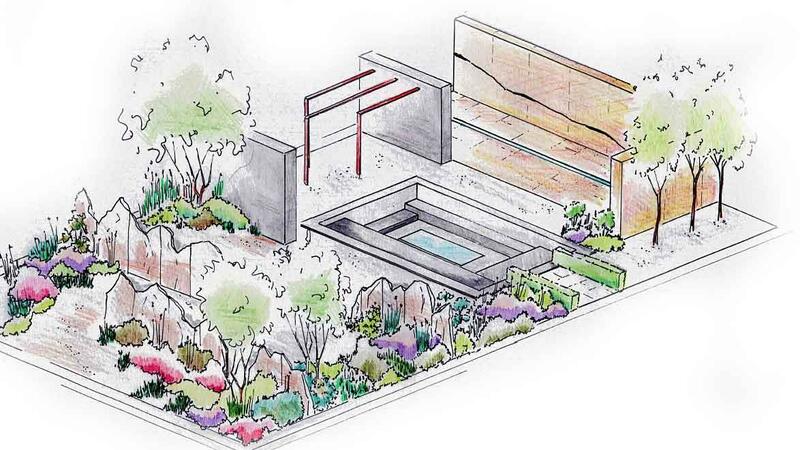 The difference between this and James Basson’s monumental Maltese memorial garden at Chelsea is that it has been designed for a professional couple who have built a modern house, and wish to spend time outdoors. Unsurprisingly for a garden sponsored by The Institute of Quarrying, it’s heavy on the hard landscaping and the notes promise more native planting. Let’s hope it looks a little more inviting than its Chelsea predecessor. Lee Bestall can’t have had a lot of time to relax following Chelsea, where his 500 Years of Covent Garden garden won Silver. 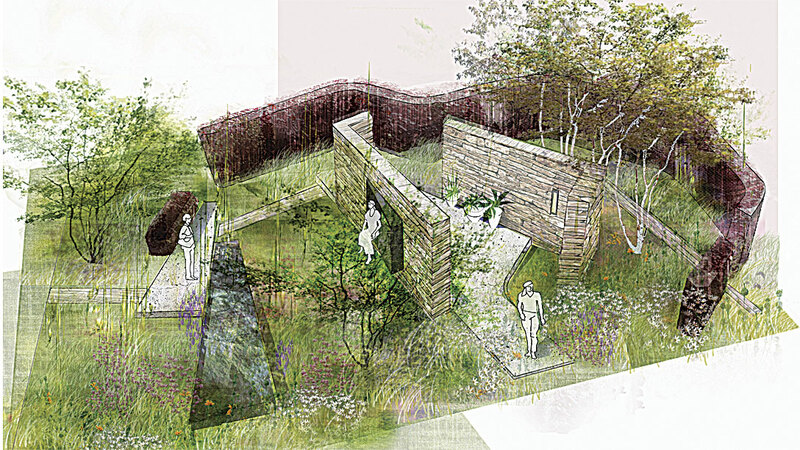 The young designer moves up-country with the Experience Peak District & Derbyshire Garden, which is another concept I like the look of. The contrast between bucolic parkland and sharp formality is one we often see in great gardens and will be recreated in miniature here on Chatsworth’s magnificent canvas. I am delighted with the return of Antithesis of the Sarcophagi by Martin Cook and Gary Breeze as I never succeeded in getting near this 44-tonne rough granite cube with a garden inside at Chelsea in 2016. No doubt the queues to peer through tiny holes in the grey stone and gaze upon the lush garden within will be just as long at Chatsworth. Florist Jonathan Mosele is decorating the estate’s Palladian bridge with a giant willow serpent, rising up from the waters of the river Derwent and wrapping itself around the cool stone. Visitors will be able to experience the thrill of walking through the floral installation from one side to the other. The feature I am most excited about is the recreation of Joseph Paxton’s Great Conservatory. 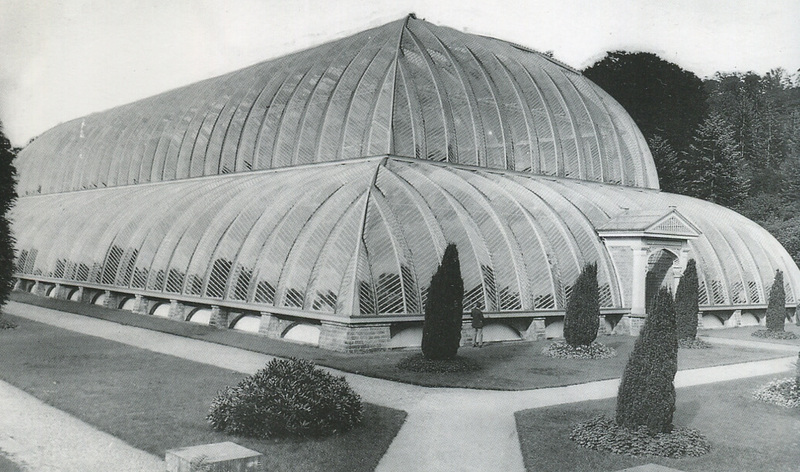 When it was constructed in 1840 it was the largest glass building in England and Charles Darwin wrote that he “was transported with delight. . . . The water part is more wonderfully like tropical nature than I would have thought possible. Art beats nature altogether there.” Alas the exorbitant cost of heating the conservatory, or ‘Great Stove’ as it was then known, led to its demolition in 1920. The photograph below was taken just before that sad occasion. Only the brick footings now remain. 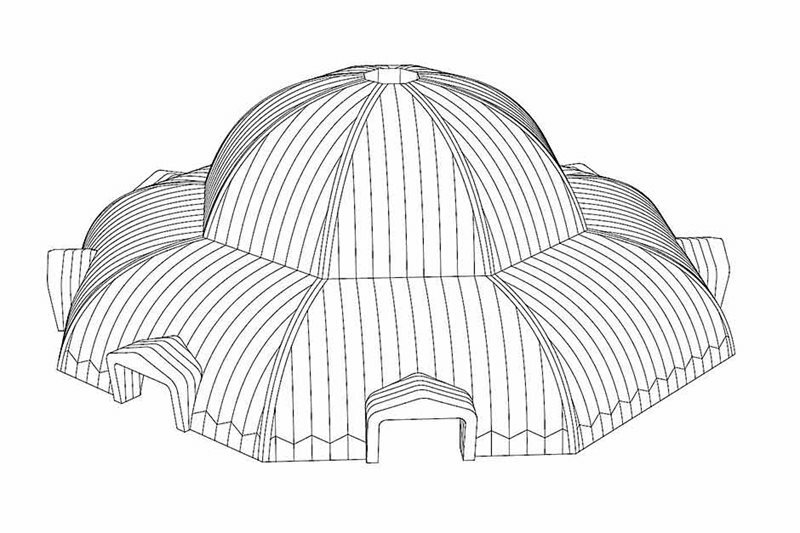 Using inflatable technology, a 14-metre high structure, inspired by Paxton’s original, will pay homage to the lost building which rose over 20 metres. At its centre will be an art installation by Darryl Moore and Adolfo Harrison of Cityscapes. An exhibition will retell the story of the gardener-turned-architect and politician who first succeeded in cultivating the dwarf banana, Musa ‘Dwarf Cavendish’, from which most commercially grown bananas are descended. To either side of the Great Conservatory, two conventional floral marquees will form wings housing 76 nurseries and growers. As well as the traditional layout, the RHS have included three special areas of interest: connoisseur, cut flower garden and edibles. I have no doubt that many purchases will made here, both necessary and unnecessary, and that I’ll be driving home from Derbyshire a happy man, with flowers tickling my temples. Drop by later next week for full coverage of the show and details of the damage inflicted on my wallet. Have a lovely weekend. TFG. It looks an interesting new show look forward to hearing your views on it Dan! Great commentary Dan as usual full of great information. Naturally looking forward to your future comments about the new show. Thanks again. Because I’m going on press day I am really hoping to immerse myself in the show and report back in detail. The connoisseur section is the one that I need to keep away from …. anything a bit different and my wallet is out! 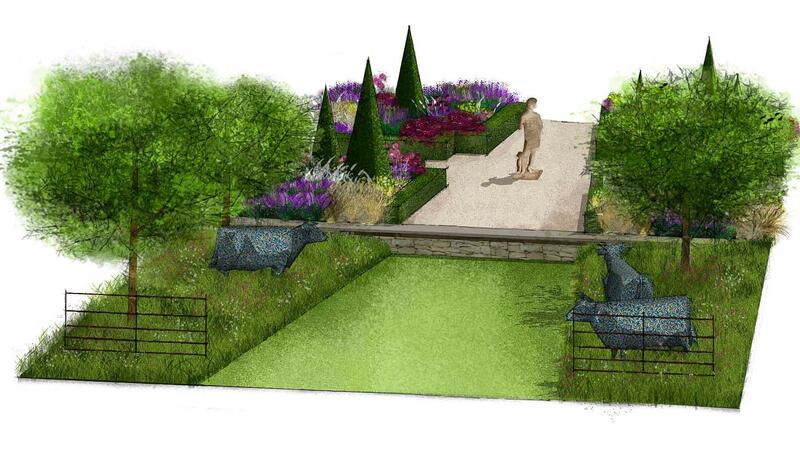 Look forward to hearing your views/opinion about this new RHS show after what, quite frankly, was the worst Chelsea I have experienced – won’t go on about it! 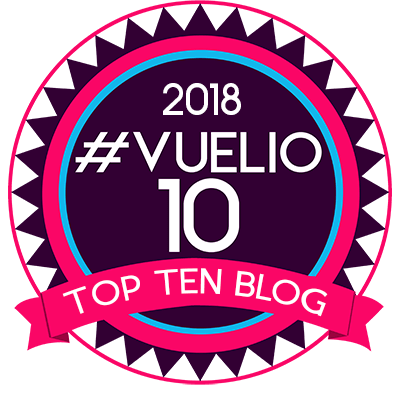 Have friends in the village here who are also going up on the first day so between the three of you …. Is this going to be an annual event or has that yet to be decided? Look forward to the next post. Off to the garden to make space for yet more plants but I cannot sacrifice the opium poppies right now with all their wonderful colours and forms and future seed heads for flower arranging. The seed heads also keep the mice fed during the winter – proper wild life garden here! Hello Mrs P. I believe Chatsworth is going to be a permanent fixture in the RHS calendar, although I don’t know how they manage it so soon after Chelsea. Perhaps it’s more efficient to move their kit from one show to another rather than store it in between? I am sure I am going to end up buying plants despite having no more space. Everything has filled out so much in the last fortnight. I might get a few gaps when the maderense go over, but I’ll probably replace them with more of the same. Love the sound of your opium poppies. They’re among my favourite flowers 🌺 Dan.